Getintothis’ Matthew Wood unveils a colossal Icelandic beast, gets pensive with a former Vampire Weekend member and almost falls of his chair to some laid back electronic pop. 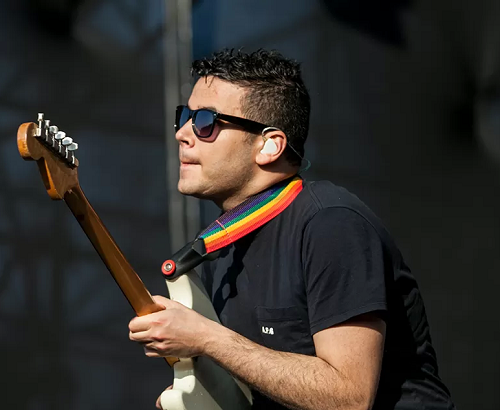 Having announced his departure from Vampire Weekend this week, Rostam Batmanglij has graced us with this incredible track. Minimalism in all its splendour, the track features Batmanglij’s exceptionally pure vocal that casts a beacon of light amid an ethereal organ that hovers sinisterly throughout. He seems to pluck the melodies effortlessly from his icy musical landscape, yet doesn’t allow the track to fall into melancholy, but is, in a way, uplifting in the most relaxing way. Rostam’s soothing number secures our Single of the Week, let this one wash over you. Not many bands rock harder than Icelandic post-punk rock outfit Fufanu. Ballerinas In The Rain is a colossal tune, one so colossal Damon Albarn took the time to remix it, and its sick. (see below). 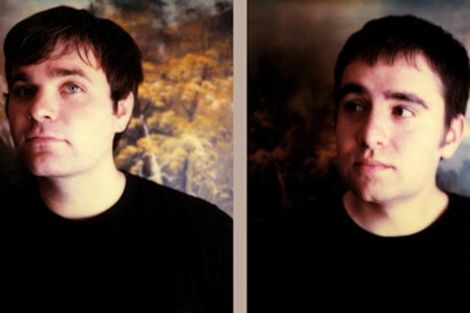 With strong foundations in techno, what began as a two-piece has transformed into a formidable force of five, and they’re blowing people away. Hit up the Shipping Forecast on February 25, it’ll be immense I’m sure. Half the battle here was deciding which track from her album Easier Than Falling to feature in this piece, each one is as smooth and soulful as the next. I chose Meltdown for its seductive chorus and classic organ giving it a vintage finish, making it seem like we’re witnessing a classic that’s already stood the test of time, and it may well do so. SVIIB started out as a three-piece, but after Alejandra Deheza’s twin sister left the band and the tragic passing away of Benjamin Curtis, Alejandra remains the sole member of the band. Written by both Alejandra and Curtis in 2012, Ablaze is a blast of energetic dream pop that’s as catchy as it is heartfelt. SVIIB, the latest record is out February 26. A track that plods along packed with endearing idiosyncrasies Liverpudlian Laura J Martin is becoming a master of her craft. A shimmering synth twinkles throughout this helping of sophisticated pop that utilises repetition and simplicity, allowing Martin to spoil us with her unique vocal and catchy chorus. Her latest album On The Never Never is out March 11. Another exotic dose of world music for you hear. Retaining that old psych talisman – the moog to play the whackiest of South American melodies, Fumaca Preta stir up a delightful concoction that is bound to get you sweating in a poncho. I can’t help but picture Benicio Del Toro in Fear and Loathing in Las Vegas going off his nut to this one. Colour is a storming single from the Liverpool-based four piece; its technically very impressive with a sumptuous array of math-rock infused layers, none of which are in any way superfluous. A prime example of how production can work wonders for a band; the quality and attention to detail set this one high above your run of the mill four-piece guitar band. ‘Goodness man’, this is quite a tune indeed. Catch them at the intimate Maguire’s on February 10. For those of you into your Ethiopian Jazz, as i’m sure most of you are, this one may be to your liking. Having altered their sound once again for their upcoming album City Sun Eater In The River Of Light it seems Woods won’t stop until they’ve covered as much musical ground as possible. As they venture into unchartered territories,however, they’re full equipped to tackle it fantastically. As Sun City Creeps proves, Woods can chop up just about any genre, load it into their truck and carve something cracking from it. It may only be a demo but this is a demo of a very high standard. The track’s beat and bass induce an inclination to lean back, far back, so far back I nearly fell off my chair – its a mellow beat grooving on a grinning, bendy bass line. Vocally its brilliant, and Lowe allows his vocal to reverberate effortlessly, relying on little more than a beat and a few minor chords. Electronic pop is very easily saturated with unnecessary samples and effect, but Lowe is smarter than that, utilising all that is necessary to great effect. Remaining calm and collected on the end of a repeated dialling tone via a clever slice of psychedelic electronic pop, Tom Low’s single Phone is set for release on the mighty Deltasonic label. Conversing via a deadpan ‘answer the phone‘ and surrounding himself with some Conan Mockasin-esque melodies and building to a scorching guitar solo; the track dips in and out of the familiar and the strange – the best unanswered phone call you ever had. Twin Peaks’ last LP Wild Onion was a marvellous creation in my eyes. In one instance you’re revelling in the sheer joy of simplicity, three chords a few drum fills and lyrics about ‘egg yolk’ and ‘chinese food’,(Making Breakfast) the next you’re submerged into a blissful interlude that you wish was 8 minutes longer(Strange World). Their latest is like a sunny afternoon stroll with Ray Davies and Bob Dylan; a scorching Southern American country riff cooled by the cool, calmly laid lyrics and their purposeful British twang. If their upcoming album Down In Heaven is gonna be Twin Peaks revisit the 60’s then I’m all over this, but I’m pretty sure they’ll have plenty more than a 60’s tribute up their ‘DROP ACID NOT BOMBS’ shirt sleeves. I imagine stepping into Lake Komo’s recording studio is kind of like stepping into a space shuttle cockpit; surrounded by dials and pedals and levers and one mistimed twist of a dial could end with disaster. Lake Komo avoid any unscheduled landings here, channeling a complex sound that’s highly innovative. The track’s infectious refrain is the highlight and manages to sound both human and electronic somehow, take a listen and see what you decide: Human? Electronic? Both? Hopefully they can clear that one up for us. Halifax honeys Esme and Sid Hand-Halford and pal Henry Wade toss us another lo-fi surf nugget that seems to pick up what Twin Peaks started, but opted for a little less stoner and a little more surf. There’s something beautiful about DIY production and its perks are plentiful in this track: the heavy hiss of the hi-hat gives a real Ringo-esque energy and the sweet steely jangle of a guitar has a distinct personality that adds to the trio’s charm.